The pro-Andrew Gillum group's new contributions include another anti-Graham ad, though Gillum is still losing ground in polling. A pro-Andrew Gillum political group that drew headlines for running a TV advertisement attacking Democratic rival Gwen Graham is pitching in more money — and another anti-Graham ad — for the Tallahassee mayor. 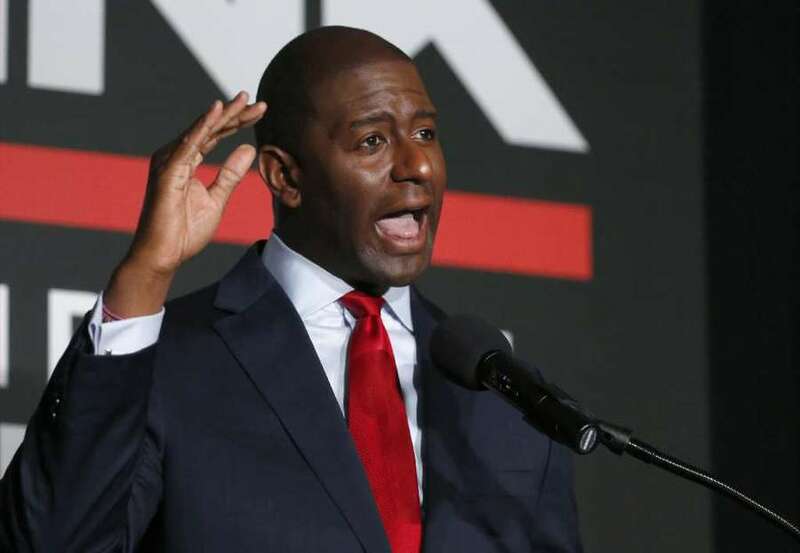 The Collective Super PAC, a political group working to support black candidates, announced Friday it was boosting its support of Gillum's candidacy by another $1 million as direct contributions to the Gillum campaign and the affiliated political committee Forward Florida, in in-kind support and television advertising. It will include a nearly $500,000 ad buy which will air in Tampa Bay, West Palm Beach and Jacksonville next week. The group's statement did not name Graham as the target of the ad — titled "Zero Regrets" — but it said the ad "focuses on one of Gillum's primary opponents, who continues to tout progressive credentials despite voting with banks, supporting the disastrous Keystone XL pipeline, and publicly undermining President Obama's Affordable Care Act to get reelected." The Collective's 501c4 arm, Collective Future, has previously contributed $266,000 to Forward Florida. The parent group's largest contributors this cycle have included George Soros, ACTBLUE, Priorities USA and Planned Parenthood. Gillum, despite the infusions from the Collective and billionaire Tom Steyer's NextGen America, has continued to trail in polling compared to some of his competitors for the Democratic nomination. A Mason-Dixon poll released earlier Friday showed 27 percent of registered voters backing Graham and 18 percent supporting former Miami Beach Mayor Philip Levine, with a margin for error of 4 percentage points. Palm Beach billionaire Jeff Greene was in third at 12 percent, and Gillum — who has been in the race since last year — trailed in fourth at 10 percent. Only Winter Park businessman Chris King polled more poorly, though according to the poll a quarter of Democratic primary voters remain undecided. The primary election is on Aug. 28. Vote-by-mail started July 24.